Our Rescue I Training curriculum is the foundation for the Tech Safety Lines training module. This course concentrates on the various uses and applications of self-rescue and assisted rescue equipment. The greater portion of the class is held on an elevated structure. After becoming comfortable with the simple processes used with the equipment, the students will perform and participate in several simulated rescue scenarios. 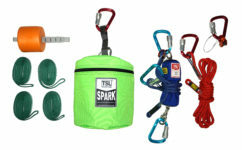 Each student must have appropriate PPE, including a full body harness, fall arrest lanyard and any personal fall protection devices normally used. Students should be prepared to climb an actual structure several times each day. 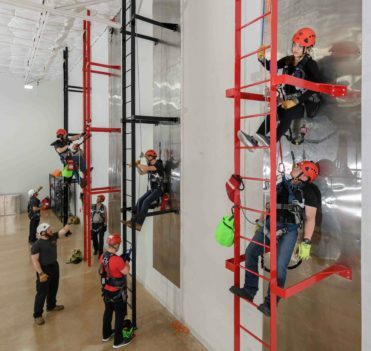 All Tech Safety Lines, Inc. rescue training programs meet or exceed OSHA and ANSI requirements. 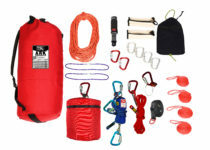 Please contact us for further information, pricing, and the rescue equipment most suitable for you work environment.